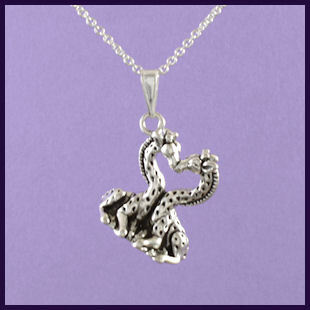 The Giraffes Kissing necklace is a sterling silver pendant of two seated giraffes kissing held on a 925 silver chain. The pendant is 19mm high, 17mm wide, 9mm deep and 5.1g in weight. You can choose between different chain lengths.